Amy previously worked at Northgate from 2002 to 2007 and has returned to work as a receptionist. She left in 2007 to pursue a career in event planning. She decided to accept a part time position at Northgate so that she can spend more time at home with her 2 children. We are happy to have her back. She has 2 cats Levi and Zipper, siblings who were rescued from a bad situation. She calls them “partners in crime” as they are always getting into mischief. Amy likes working in the yard, boating, playing golf, and is a huge fan of reality T.V. 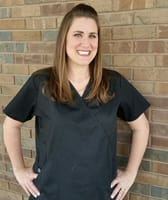 Erin joined the Northgate family in February of 2019. She earned her BFA in Fine Art – Graphic Design at Western Kentucky University in 2006. A life-long animal lover, she enjoys splitting her time between Northgate and her work as a graphic designer. 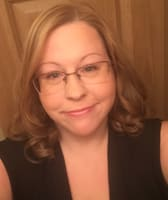 She spends her free time with her family and pets, travels as much as she can, and loves flexing her artistic muscles through painting and paper crafting/scrapbooking. Rhonda started work at Northgate in July 2006. She returned to work as a receptionist after an 18 year absence. She is our seasonal decorator, bringing many of her own items to enhance the reception area. Her pets include Buddy, a Border Collie/American Eskimo mix, and Pinky ( her grand-dog ). Rhonda has many hobbies including, cooking, gardening, crafts, and photography. 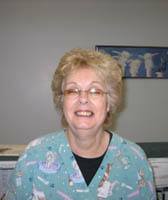 Affectionately known as “Aunt Rita” by her co-workers, Rita has worked at Northgate since 1996. She has adopted and cared for many stray and unwanted cats over the past years. Rita loves a bargain; you will find her searching the flea markets for antiques most Saturdays. Jess Joined the Northgate family in September of 2018. Her passion for animals is truly inspiring. When she is not here loving on the pets at Northgate, she is spending time with her son Liam. Jess is new to the veterinary field, but feels as if she has made the right career change. 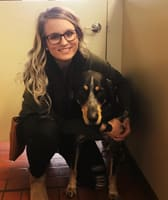 Chloe has taken her pets to Northgate for years, but finally decided to join the team in 2018 after serving nine years in the military as Air Force Intelligence. She has always had a passion for animals and helping those in need, so after deploying overseas she decided to start a family and pursue her interests. She will soon receive a BS in Cell Biology and Genetics from SIUE and hopes to bring a unique perspective to the Northgate Family. After fighting the Global War on Terror she is itching for a new agenda: the War on Fleas and Ticks. Say hello to Wendy! She is our newest team leader. 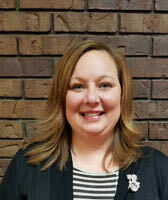 Wendy graduated from SIU Carbondale in 1999 with a BS in Workforce Education and Development. After graduation she perused a career in retail management/pharmacy where she worked for 18 years. During that time she held several job titles including store manager. Wendy left the retail industry to join a small animal veterinary practice in 2016 as the practice manager and has since come to join our team as the Hospital Manager at Northgate Small Animal Hospital. Wendy is married and has two rescue dogs Columbus and Baxter. As a family they enjoy hiking, sailing on Carlyle Lake, kayaking, white water rafting and other water sports. Carolyn began working at Northgate in April of 2009. She comes to us with 6 years experience, three of those working at a satellite clinic helping build the practice. Carolyn’s pets include Vigo, a red shepherd mix who jumped into her yard and stayed to become part of the family and 2 cats named Ashlyn and Lightening. Marissa graduated from The Vet Tech Institute of Hickey College in December 2014. 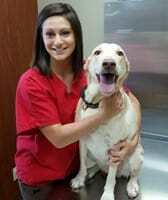 Before graduating she completed her externship with us at Northgate Small Animal Hospital. She has 2 labs, Colbie(pictured) and Bubba both adopted while in school at Hickey. When she is not busy at work she enjoys reading, watching movies, camping and just being outdoors. 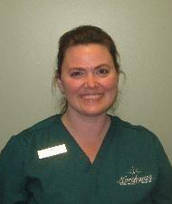 Melissa joined Northgate Small Animal Hospital in September of 2006. She graduated from Sanford Brown College in March of 2008 with an Associate Degree in Animal Science. She became a board certified technician when she passed her exams in June of the same year. Melissa has some important responsibilities here at Northgate. She takes care of our x-ray equipment and makes sure we have all our needed sugical supplies. Prior to working at Northgate she was a groom at Fairmount Race Track for 5 years and a dog groomer for 2 years. Currently she has 1 dog, Chewie and 3 cats, Joker, Piper, and Marie. Chewie was delivered by cesarian section here at Northgate and became Melissa's neonate project at school. 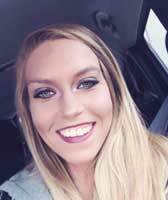 Alyssa joined the Northgate team in June of 2018 and brought her infectious smile with her! 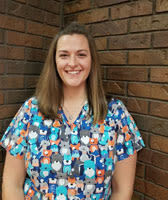 She previously received her Veterinary Technician Degree (AAS) from Midwest Institute in 2016 and already has a couple years of clinical experience under her belt. She has a young (and growing!) family that includes two children that “keep her heart full” and a handsome Blue Tick Coonhound named Willard-- oh and her husband Tad whom she loves very much! She maintains a healthy and active lifestyle that includes hiking with her husband and lifting weights, but doesn’t miss a chance to indulge in Bobby’s ice cream and binge watching reality TV shows! Stephanie returned to Northgate in September of 2012 shortly after returning to the Collinsville area. She is a 1994 graduate of San Joaquin Valley College in Bakersfield California. 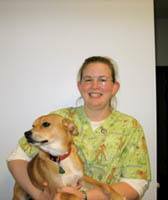 She passed her veterinary technician board exams at University College Davis California in 1994 and has been an RVT ever since. 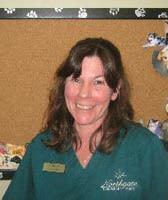 Stephanie has worked in the veterinary field for 22 years both in large and small animal practices. She has one cat named Leia and 3 grandchildren whom she spoils rotten. 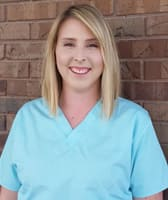 Suzie joined Northgate Small Animal Hospital in August 2017. 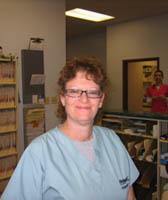 She graduated from Colorado Mountain College in May of 2004 with an Associate Degree in Veterinary Technology. As a military spouse she has become a resilient Licensed Veterinary Technician working with multiple hospitals in various states. 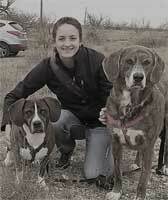 After a break to raise her two children, she now joins us part time with goals to get her dog training certificate and pursue a behavior specialty. Her passion spills over into her home life with hopes that one day her Labrador puppy Cooper will do great work one day! In her free time, she enjoys spending time with her family, crafting, and being outdoors.